Heart shaped foil balloon measuring approximately 18 inches. 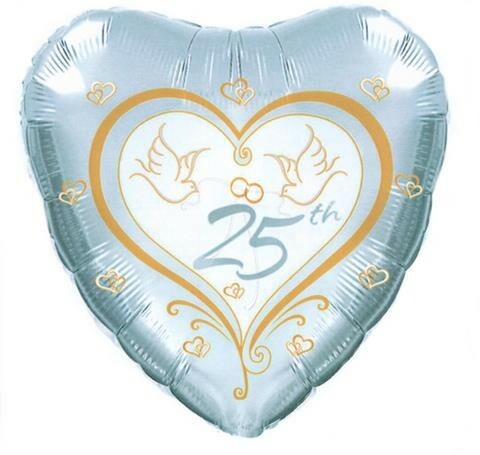 Foil balloon with a silver border and white centre with 25th in silver accompanied by two gold doves holding a ribbon with two rings;and gold entwined hearts all over. A helium fill balloon that can also be air filled and suspended.